I’ll be honest–I do not always get excited about trying new beauty products, unless something about them really stands out: ingredients, technology, an extraordinary collaboration. This is the case for the Kristina Holey + Marie Veronique Collection. 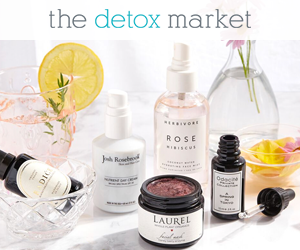 You may already be familiar with Marie Veronique and her beautiful skincare line. It is science-based and nature-powered. You may also have heard about Kristina Holey, a facialist and skincare expert with a holistic approach. This includes whole nutrition and healthy lifestyle recommendations (my cup of tea, for sure), not too mention that she has trained with the renowned French skin expert, Joëlle Ciocco. The collection* (to be precise, the 2/3 serums I have tried so far), ended up not only meeting my expectations — it exceeded them and has me hoping for more magic to happen in the lab in the future. The collection includes three products, which are face serums that target different skin concerns. So far, I have only tested two out of the three, and the one I am reviewing in this post is my favorite: the Soothing B3 Serum. Let me tell you, it’s called soothing for a reason. A gel serum suited for all skin types; especially beneficial to sensitive (generally intended as skin types that are sensitive to several ingredients, irritants, allergens, prone to inflammatory reactions), and breakout-prone skin types. Also described as microbiome-friendly, as it promotes a healthy balance of bacteria on the skin. (Yep, in case you didn’t know, your skin is covered in bacteria–but don’t freak out! It’s meant to be that way.). When your skin is healthy, these microorganisms live happily together, in harmony with each other. However, changes in your skin can allow pathogens to grow and cause inflammatory conditions. So a microbiome-friendly product is meant to help to keep the bacteria in balance and prevent inflammation (which can lead to acne breakouts, rosacea, eczema, and more). The lightest gel you’ve ever tried–kinda runny and watery-like. 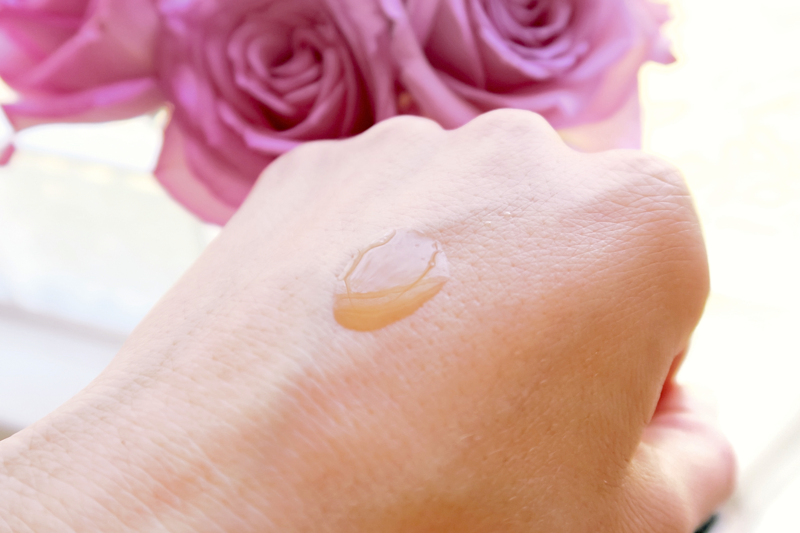 A slightly (very slightly) sticky after-feel upon the application goes away completely once the product is absorbed into the skin — likely from the hyaluronic acid in the product, which typically feels a bit sticky. It feels hydrating and soothing. Once it is absorbed, there’s no residue left on the skin. I tend to get a bit flushed after cleansing (my tap water irritates my skin), but the combination of my hydrating toner and this serum makes my skin feel calm and won’t allow it to develop redness. If you have tried aloe vera gel on irritated skin — this feels similar on the skin (that cooling/refreshing/soothing effect), but waaaay better. ECGC (compound found in green tea), green tea extract, hyaluronic acid, D-panthenol, licorice root, niacinamide (vitamin B3), carrot root extract, knotgrass flavonoids. I love that all the ingredients are beneficial, and that it is free of cheap fillers and meaningless ingredients. No questionable ingredients at all. It is free of fragrance and essential oils. It is also oil-free, which makes it a great product for combination and oily skin types as well. In fact, I think that this would be an excellent option during Spring/Summer when combination skin types need hydration, but also have to avoid heavy, oily products. After cleansing and using a hydrating toner, I apply 2-3 pumps of Soothing B3 Serum all over my face and neck. I also apply it on my under-eye area. It absorbs quickly, so there is no need to pat it into the skin over and over. I just massage it gently until it is evenly distributed. Some days I don’t apply any other product on top of this serum, because my skin feels and looks so great. Sometimes, (usually during the weekend, when I do a face mask), I apply a light face oil blend (Argan oil + Wild Carrot Serum Oil) on the areas of my face that may need a little more love, like around my lips and where my laugh lines appear when my skin is dehydrated. The finish left on the skin is slightly dewy, and absolutely non-greasy. My skin looks fresh and plump after the application. The first thing I notice after application is that my skin looks and feels plump, hydrated, and calm. As someone who is prone to redness, this product has a soothing effect on my skin but it does not leave the uncomfortable residue that many other products with the same effect leave on my skin (oils, creams, balms, etc). Niacinamide. There is plenty of evidence to back up the benefit claims made for niacinamide. It can effectively improve skin’s barrier function preventing moisture loss. It is also beneficial to rosacea sufferers: in patients with rosacea, one study found that a moisturizer with niacinamide as its active ingredient improved inflammatory lesions, scaling/peeling, dryness, and erythema. Finally, niacinamide can improve the appearance of aging skin by smoothing the surface of the skin and the fine lines. ECGC. This is a compound found in green tea. When applied topically, it has skin, photo-protective, and photo-repairing properties. I wrote a more detailed post about this ingredient here. Hyaluronic Acid. Naturally found in the skin tissue, hyaluronic acid has moisture-binding properties. It helps to prevent moisture loss and boost moisture levels in the skin. Therefore, HA is an ideal ingredient for all skin types (especially if dehydrated) that can give the skin a more smooth & plump appearance. D-Panthenol. Also known as Pro-Vitamin B5, it is converted to pantothenic acid when applied to the skin. Its humectant properties effectively improve dryness, roughness, and scaling of the skin as shown in several studies. I haven’t tried anything that feels or works like this one so I can’t compare it to any similar product. Amber glass bottle with pump. A product with these characteristics (oil-free, hydrating, soothing) is something that was missing in my skincare routine and that I am grateful to have found. I have currently used half of the bottle (I have been using it for a couple of months), and I foresee myself continuing to reach for it in Spring and Summer, especially when the alternating of the humid and hot temperatures outdoors and the cool, dry indoor air typically make my skin freak out. I love the finish it leaves on my skin because it works well under sunscreen for the daytime and directly under makeup in the evening. Therefore, I will be buying a new bottle as soon as I run out of it. Totally recommend it *inserts the praying hands emoji*. I plan to also have my husband starting to test it on his skin because he is currently dealing with dermatitis and I will update this post once he has used it long enough to understand how it works for him. That being said, I think someone with dry or very dry skin types may prefer to use it in combination with another product, perhaps layering a light face oil on top to further help seal the moisture in. If you are interested in learning a bit more about the Kristina Holey + Marie Veronique collaboration, read this interview. I plan on reviewing another one of the three serums from the collection (the Barrier Restore Serum) soon. Spoiler: another winner and staple. I have yet to try the Intense Repair Serum, which is recommended to skin types that are prone to breaking out because I do not typically get breakouts anymore. So hopefully I will not have the chance to test it out at all and will pass it along to someone who needs it. Gotta stay optimistic and keep that positivity going, guys. The Soothing B3 Serum is available at Ayla Beauty. 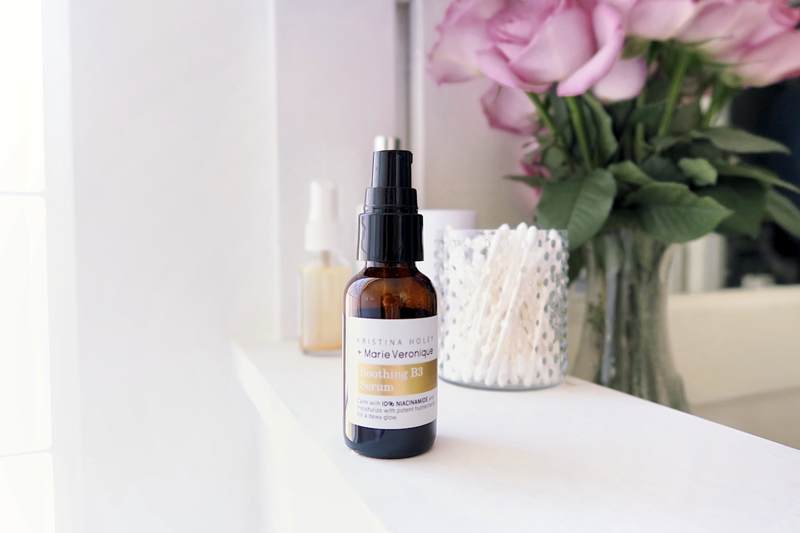 After I published this review I received several emails, messages and comments in the comment section below about a certain topic that involves one of the main active ingredients in the B3 Soothing Serum: niacinamide. Many people are confused about the use of niacinamide and Vitamin C together. Both ingredients are proven to be very beneficial to the skin, but using them together seems to be a problem for some. I asked Marie Veronique to weigh in and share her view on the topic. Q: One of my readers is asking if she can use the Soothing B3 Serum with a Vitamin C product. There is a lot of confusion about this topic going on at various skincare blogs, and many people are concerned that using a niacinamide serum and and Vitamin C serum could cancel each other’s benefits or cause irritation. A: Good question—we have been hearing a lot about this from various sources. Let’s bring some science to bear on the issue, which I think will assuage some of the alarm people may be feeling. First of all, niacinamide and ascorbic acid are wonderful skin care ingredients, and we use both of them, and though we don’t combine them in the same bottle, they can be used in conjunction with one another with no problem. Here’s the scoop. Two chemical reactions occur when you mix niacinamide and ascorbic acid. Mixing niacinamide with an acid (like ascorbic acid) converts niaciamide to niacin over time. But amides (like niacinamide) are stable so the conversion takes a long time. Coversion is not a problem unless you are a manufacturer looking at long shelf life. The second reaction has to do with what happens when niacinamide and ascorbic acid are combined. An electron transfers from ascorbic acid to niacinamide to form niacinamide ascorbate. While a claim has arisen that formation of this complex negates the benefits of both ascorbic acid and niacinamide the alarm is overstated, and based on misunderstandings pertaining to the nature of the reaction. Firstly, the reaction is pH dependent, and at a pH higher or lower than 3.8 not much of the complex is formed. The complex is also easily separated at higher pH values, which is good news when it comes to skin care. Whatever niacinamide ascorbate may have been formed initially will separate into discrete molecules of ascorbic acid and niacinamide as the products work their way through the deeper layers of the skin, where pH levels are closer to 7 than the 5 to 5.5 pH of the skin’s acid mantle. In the meantime, as more individual ascorbic acid and niacinamide molecules move into the skin the ratio of free to complexed niacinamide and ascorbic acid decreases, until the complexed niacinamide ascorbate is separated and equilibrium is reached. But, you say, how do you explain the redness and tingling I am experiencing when I use the two? My first take is that you may be experiencing irritation because of ascorbic acid misuse. Ascorbic acid is very acidic, and using it in high concentrations or in powder form may lower pH to the point where it causes irritation. Never use a powdered ascorbic acid straight on the skin, or mix AA powder with liquid. If the subsequent topical has pH levels of 2 to 3 it could cause severe irritation, seriously damage the skin or even cause acne like breakouts. It is also true that a niacinamide conversion to niacin that occasions niacin flushing can occur in sensitive people. This irritation is quite different in appearance from irritation via non-pH adjusted ascorbic acid applications. The flush appears evenly, affects every place it is applied, may deliver a tingling sensation and is temporary, usual lasting no longer than 30 minutes. Which brings us to the question of how and when to use the two ingredients together. Our two serums, Vitamin C+E+Ferulic and Soothing B3 are pH adjusted and can be used together by most people without noticeable effects. For people who are experiencing difficulties here are some suggestions. Look at your ascorbic acid product to make sure you are using one that is pH adjusted. Avoid powders + wetting agents; they can be risky. A concentration of 5% ascorbic acid at any one time not only reduces risk of irritation, it maximizes benefits of ascorbic acid. This is because the skin discards what it cannot use right away, so it’s better to space out topical applications to get optimal benefit. In fact, our Vitamin C+E+Ferulic Serum and Gentle Retinol Night Serum were designed at concentrations of 5% ascorbic acid each with that fact in mind. The Vitamin C in a day serum works as an antioxidant to mitigate UV damage, while at night Vitamin C partners with Vitamin A to build collagen. Retinoids send the message to the cells to make collagen, but Vitamin C is the rate limiting step for collagen synthesis—no Vitamin C, no collagen. It’s a beautiful example of synergy in action. Some people are sensitive to niacin, and may experience some flushing with the Soothing B3 Serum that is 10% niacinamide. This flushing is temporary, and is not affecting the overall anti-inflammatory effects of niacinamide, though it may not feel like it. If you are following all these suggestions and still are having difficulty it often helps to use niacinamide serums and Vitamin C serums seperately. For example, you may want to use Vitamin C+E+Ferulic Serum in the day for extra antioxidant protection, and Soothing B3 Serum at night. If you are using Gentle Retinol Night Serum you might want to use it with Barrier Restore Serum rather than Soothing B3 Serum. If you love Soothing B3 use it in the morning instead of Vitamin C+E+Ferulic. 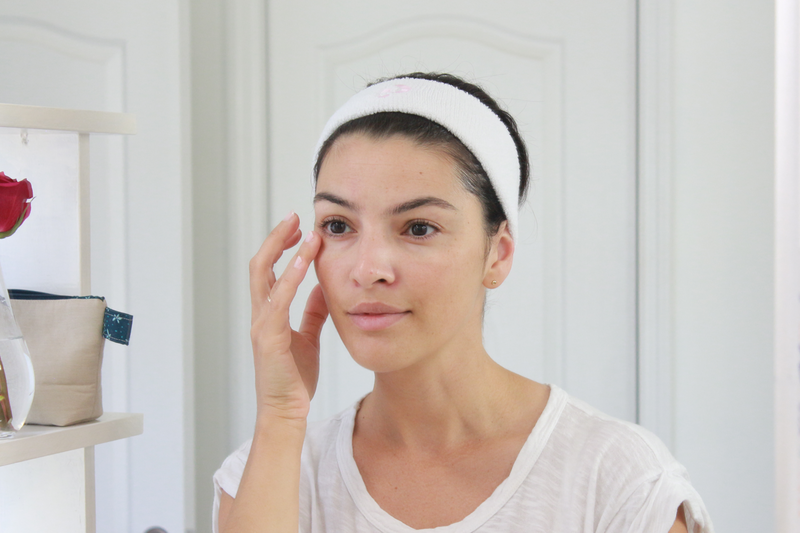 Or use Barrier Restore and Gentle Retinol and wait awhile—maybe 30 minutes, before adding Soothing B3. All of our serums contain tocopherols (Vitamin E) which help subdue inflammation by maintaining the antioxidant feedback loop. Many thanks to Marie Veronique for taking time to provide such a detailed explanation. Got more questions on this topic or about this product? Leave a comment below!